The development of renewable and reliable energy resources is important for our society. To locate and select turbines for future wind farms, it is essential to examine factors for obtaining maximum wind power. 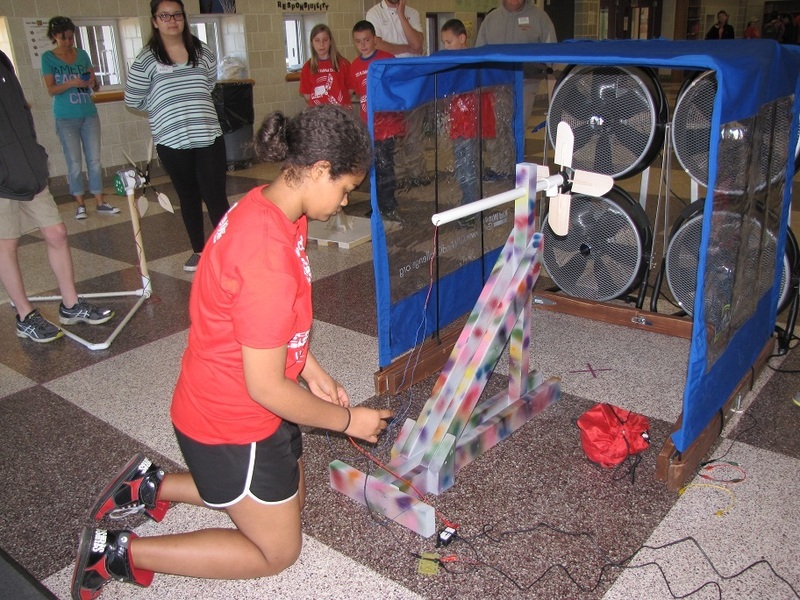 Teachers dived into the science of wind, calculated wind energy performance from wind measurements, and ran energy economics -all part of a wind project competition that can be implemented in the classroom. 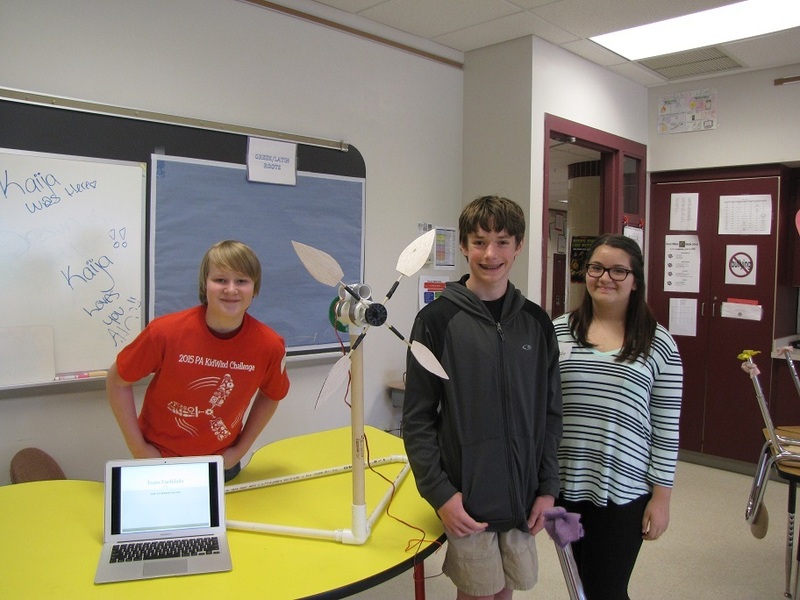 Activities included exploring the origin of the wind from its solar roots and the rotation of the earth as well as factors that influence the power in the wind. In this workshop, teachers from different disciplines learned several statistical approaches and economic analyses. 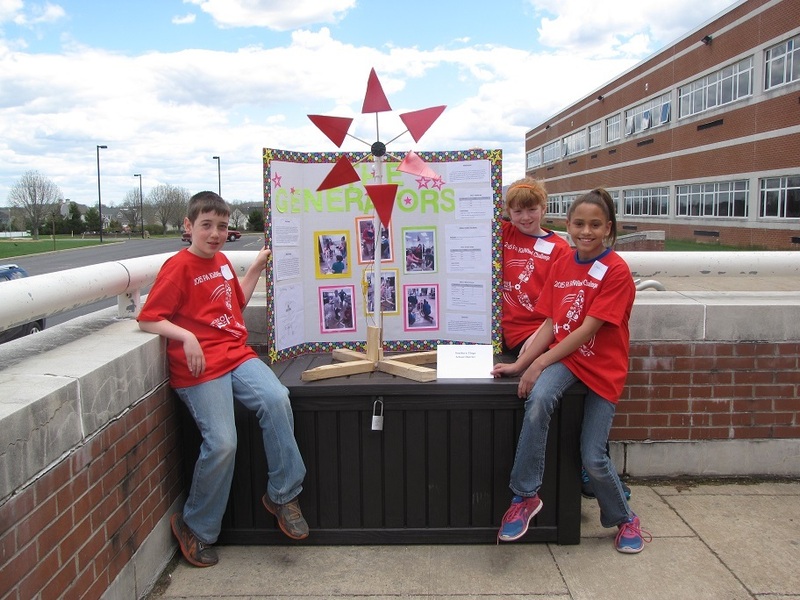 They combine concepts from the lessons together into a fun classroom competition and prepared their students to enter the KIDWind Challenge in Pennslyvania, lead by CSATS and Susan Stewart. 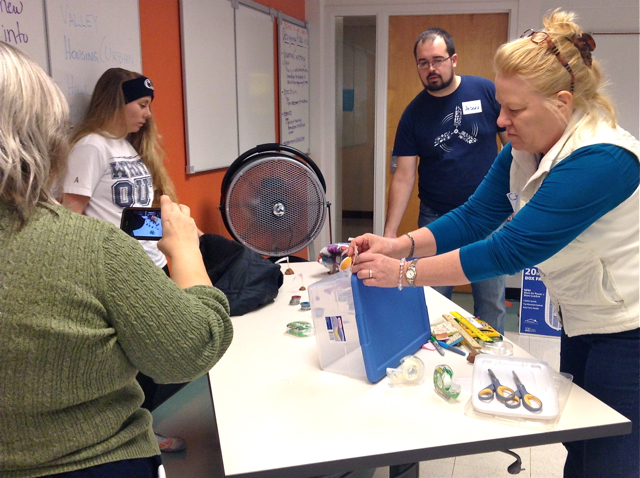 i-STEAM workshops can be developed as part of broader impact components of research grants and are also made possible by generous donations. One of the major challenges we face globally is how we are going to provide enough food, energy and water to meet the needs of our growing population. One of many real-world issues that we focus on through our i-STEAM series, designed to help K-12 teachers incorporate research into their classroom environment. 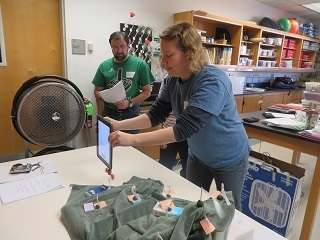 This one-day workshop helped teachers instill an excitement for environmental education in their students by sharing cutting-edge research, working solutions, and classroom experiments that promote systems-level thinking in sustainability. 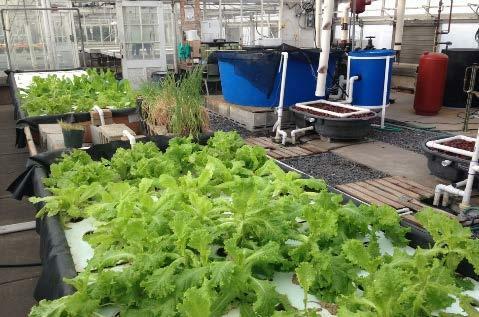 After delving into an interactive discussion on the Grand Challenges for Engineering in the 21st Century, teachers will go on guided tours of several examples of sustainable systems in operation at Penn State, such as: the Eco-MachineTM; Living Filter; aquaponics greenhouse; composting facility; and a green roof. 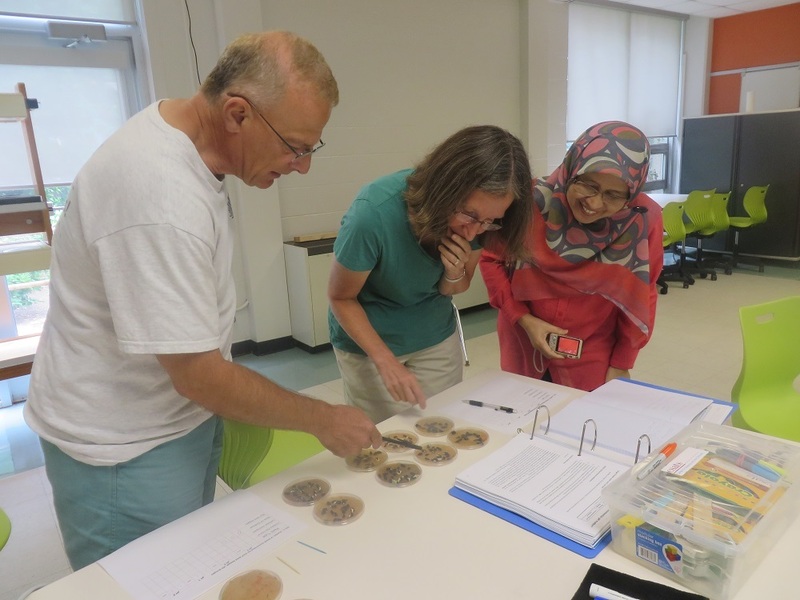 In the afternoon, teachers learned how to conduct several hands-on experiments that they can take back to their classrooms to actively demonstrate sustainable solutions for growing nutritious food, generating green energy, and producing purified water. 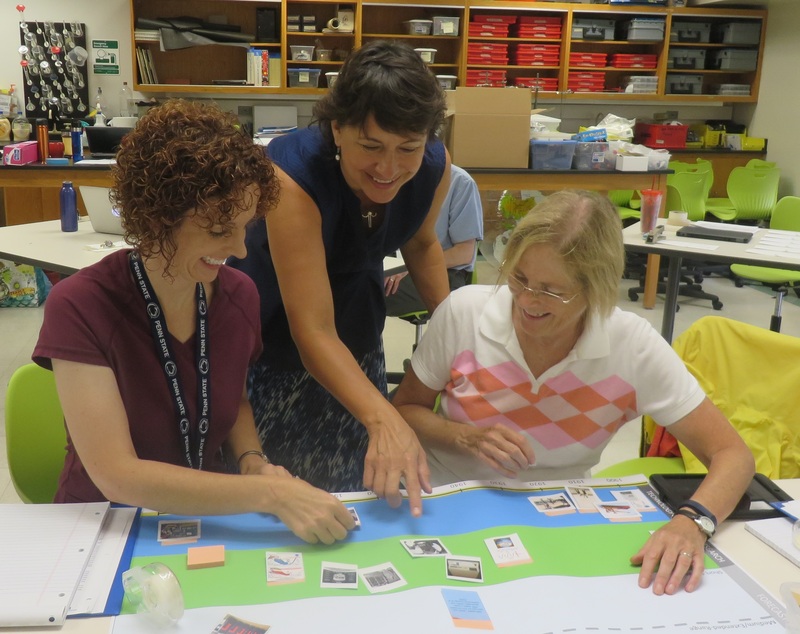 In collaboration with meteorology researchers on climate and large-scale dynamics, teachers experienced the complexity of forecasting 2-4 weeks in advance and how to improve these forecasts. 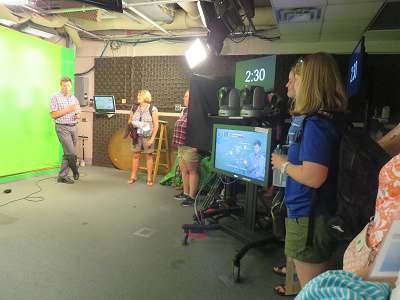 The workshop entailed diagnostic and modeling strategies utilized by researchers, relationships between probabilistic weather forecast and climate change, data sites utilized by researchers and hot to use them in their classrooms, and interdisciplinary and multidisciplinary aspects of meteorology. 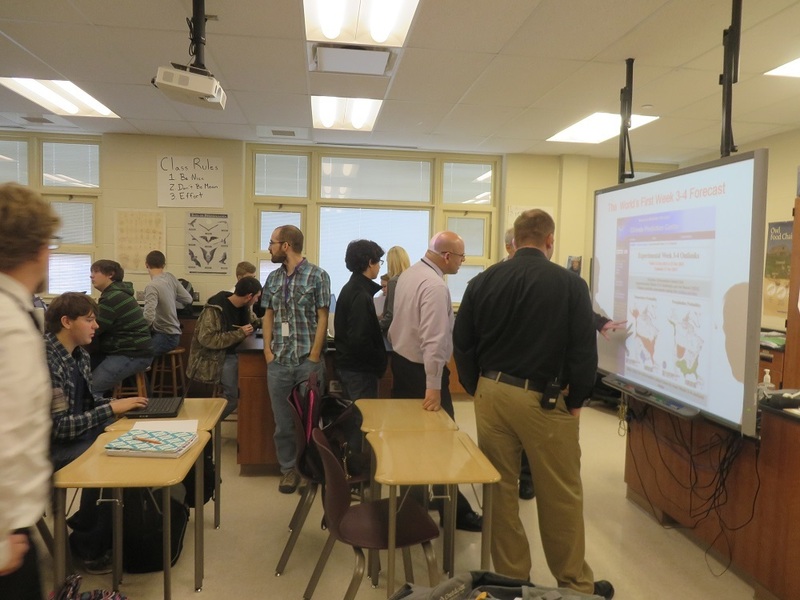 Two teachers also continued the forecasting research by developing classroom research projects based on modeling medium range forecasting with other STEM faculty in their schools and students had the opportunity to interact with the meteorology researchers during their investigations. 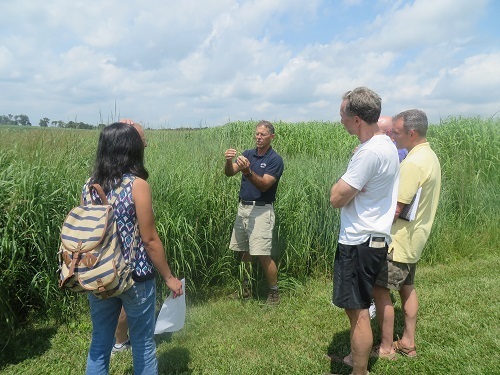 Week-long workshops including classroom materials and follow-up support can be developed as part of broader impact components of research grants and are also made possible by generous donations. Renewable Energy alternatives are vital for the health of our planet, and the NEWBio Project, funded by the USDA, has helped us learn more about how to best realize this vision. 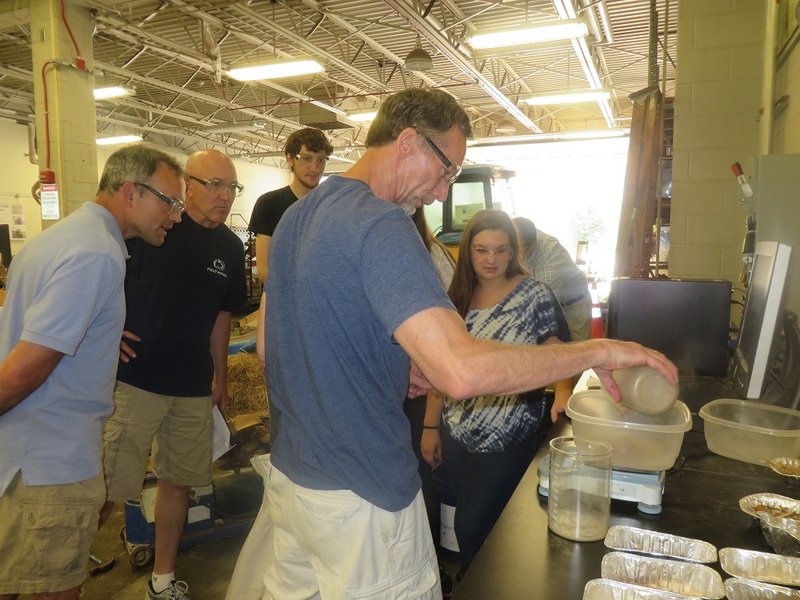 Teachers from across the nation participated in week-long summer workshops to tie renewable energy research to the classroom working with agriculture engineering researchers and graduate students, the Rock Springs Institute at Penn State, Morning Star Solar Home with the Sustainability Institute and much more. 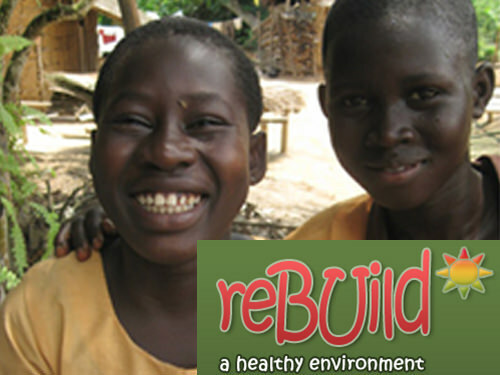 The reBUILD program was a rich cultural exchange program in collaboration between university researchers in the US and Ghanaian universities, CSATS, K-12 teachers in Penns Valley School District and the following schools in Ghana: Tarkwa Senior High School, Boa Amponsem Senior High School, Subin Hill Angelica School, and Pokukrom Elementary School. The research focused on the linkages between land disturbances and outbreaks of tropical diseases through community mapping and GIS mapping to determine ideal breeding grounds for bacteria that cause disease. To bring further awareness and knowledge of disease susceptibility, CSATS developed and implemented K-12 teacher professional development workshops with US and Ghana teachers. 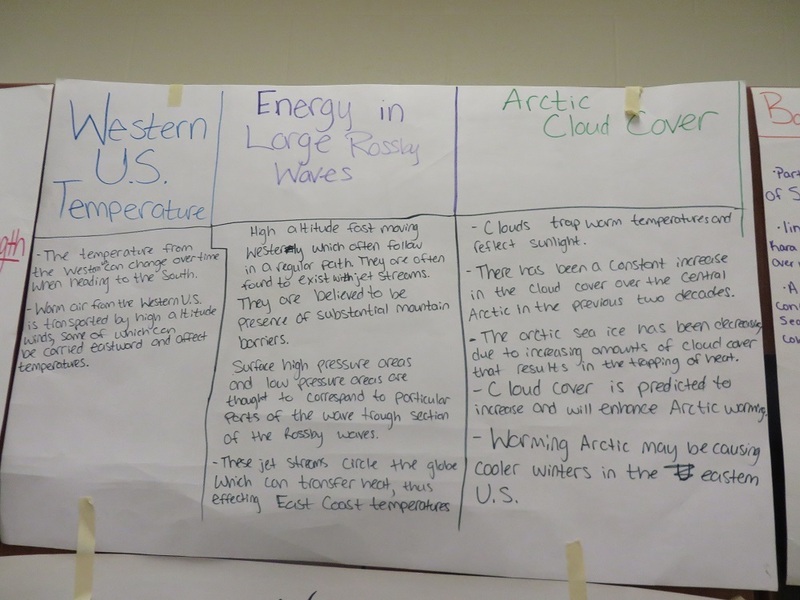 Teachers developed research projects with their students that focused on their communities’ exposure to environmental disturbances that cause disease. Penns Valley students investigated the spread of the West Nile Virus and Lyme disease to determine how the disease relates to landscape disturbance, climate change, ecology and much more. Meanwhile, Ghana students examined the relationships between the outbreaks of the Buruli ulcer and its effect on women and children in their communities. Students at each location were able to share and provide feedback to each other, foster a sister-exchange and develop further global awareness and global health issues. 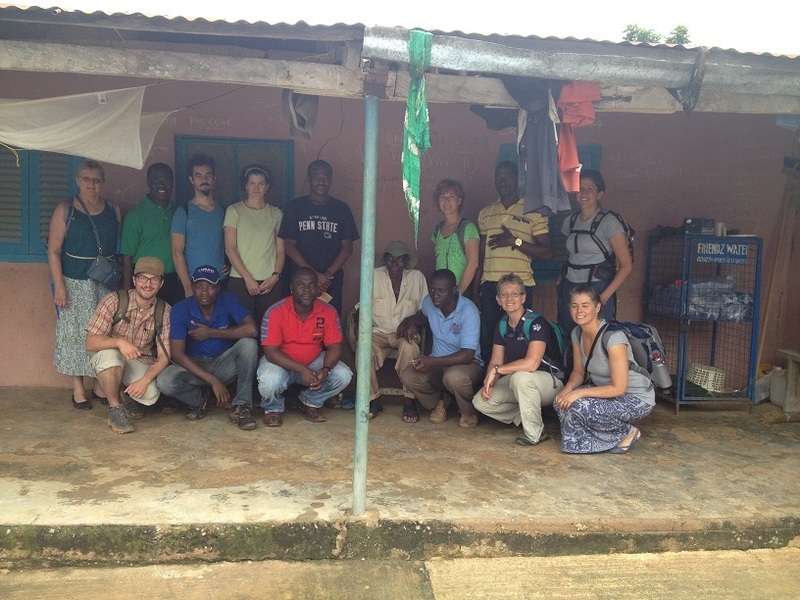 To read more about this project, please visit Penn State Facilitates Relationship between PA and Ghana Schools.